There is a new sgminer 5.3.1 fork from tpruvot with support for both AMD and Nvidia GPUs for mining Decred (source) that should work better than the previously available official cgminer fork for DCR. 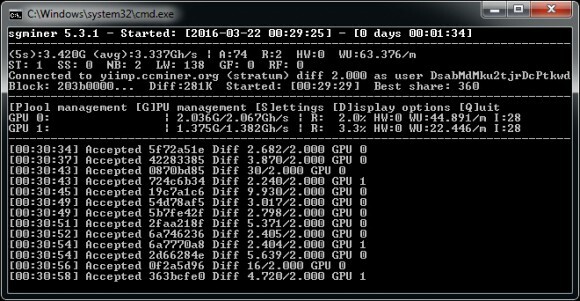 This sgminer fork comes with support for both protocols for mining Decred, the official getwork and the getwork over stratum implementation from tpruvot and as already mentioned it works on both AMD and Nvidia GPUs (it uses OpenCL on Nvidia as well and not CUDA). 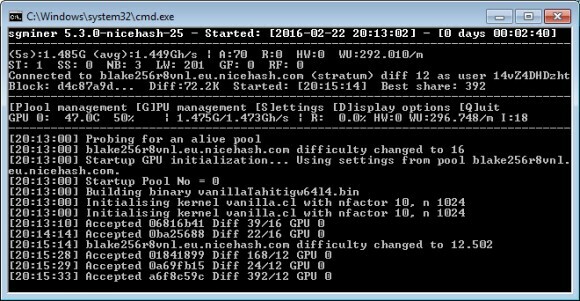 We have prepared a 32-bit and a 64-bit Windows binary of the new sgminer 5.3.1 fork compiled with VS2013, but have in mind that the NVML monitoring for Nvidia only works with the 64-bit version and the 32-bit one does seem to provide a bit higher hashrate of the two. 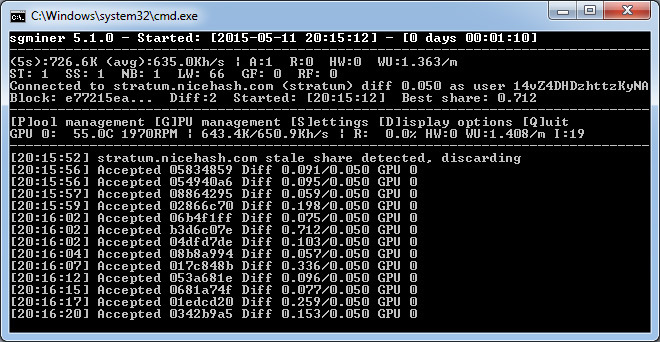 In fact we are seeing a bit better hashrate using this sgminer fork on Nvidia than when using tpruvot’s ccMiner with Decred support, so you might want to try it with Nvidia GPUs and see if it will provide a bit more hashrate. AMD miners should have less problematic mining experience when using this sgminer fork compared to the various cgminer releases for Decred and with this miner you should be able to get better results when mining on pools with getwork over stratum support as compared to ones with only standard getwork implementation available.